For UC Santa Cruz grad student Tuguldur Sukhbold, doing advanced research in astrophysics on the wooded campus of Santa Cruz is a long way from his native country of Mongolia, where he had to build his own telescopes. 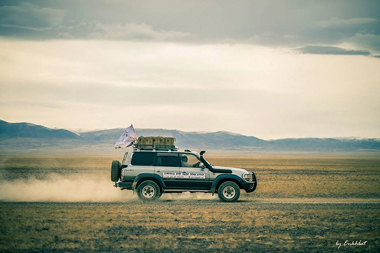 Opportunities he got at UC Santa Cruz allowed him to organize a project that, last year, delivered telescopes to 7 percent of the schools in Mongolia—44 in all—so that science-starved kids might be exposed to the wonders of the universe. UC Santa Cruz History Professor Gail Hershatter has joined Nobel Prize–winning chemist Brian Kobilka, astrophysicist Neil deGrasse Tyson, singer-songwriter Judy Collins, novelist Tom Wolfe, and UC President Janet A. Napolitano as a newly elected fellow of the American Academy of Arts and Sciences. The 2015 class of 197 includes some of the world's most accomplished scholars, scientists, writers, artists, and civic, business, and philanthropic leaders. One of the nation's most prestigious honorary societies, the American Academy is also a leading center for independent policy research. Most of the discussion at the second annual UC Santa Cruz Climate & Policy Conference in March was not about how to reduce greenhouse gas emissions, but about how to plan for and adapt to the inevitable consequences of those emissions, which are already changing the climate. In his keynote speech, Penn State geologist Richard Alley provided a compelling overview of how our society's reliance on fossil fuels for energy is driving climate change, and he described how costly the impacts of global warming will be, in both economic and human terms. Alley also made the case that the technology is available now to make the transition to a sustainable energy system, and that it makes sense economically to do so. "If you just look at dollars and cents, the economy is still better if we start to wisely reduce our use of fossil fuels," Alley said. "Dealing with it makes us better off—it gives us a stronger economy and more jobs." Phil Berman has been working to develop an AIDS vaccine for nearly 30 years, first at the pioneering biotech company Genentech, then as cofounder of VaxGen, and now at UC Santa Cruz, where he is the Baskin Professor of Biomolecular Engineering. Since his arrival at UC Santa Cruz in 2006, Berman has established a major vaccine research effort funded by a series of grants from the National Institutes of Health, including two new grants in 2014 totaling $2.6 million. The latest results from this effort have Berman sounding optimistic about the prospects for a vaccine that can be effective in protecting against HIV infection. His lab has developed new vaccine candidates that he said are promising enough to consider advancing into clinical trials within the next two years. Shapiro is a leading authority on ancient DNA—how to recover it from fossils, museum specimens, and prehistoric remains buried in frozen tundra, and how to analyze it for clues to the evolutionary history of species and populations, both living and extinct. She has studied DNA from ancient populations of bears, horses, humans, and, yes, mammoths. But she is not a big proponent of "de-extinction"—the idea that scientists could use ancient DNA to recreate extinct species. 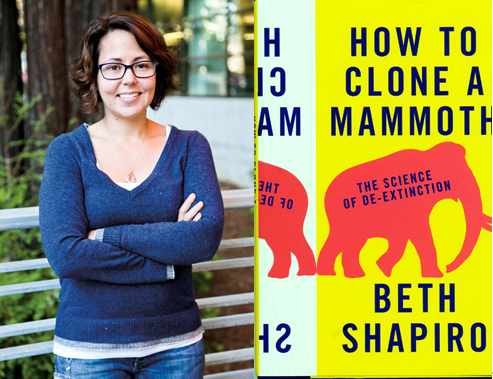 In How to Clone a Mammoth: The Science of De-Extinction, Shapiro addresses the scientific and ethical challenges that would confront any effort to bring back extinct creatures. "I question if it's something we should do at all, for many ethical and environmental reasons," Shapiro said. "I'm trying to separate the science from the science fiction." Wading her way through dense thickets of Scotch broom in Washington State, Jennifer Thompson, 22, realized just how damaging the plant could be. Growing up to 12 feet in height, the perennial shrub with its bright yellow flowers had overrun land once filled with Douglas fir. But what was most interesting to Thompson was the fact that, even if all the Scotch broom were removed, the Douglas fir would most likely not regrow. Thanks to a grant from UC Santa Cruz's Dean's Fund for Undergraduate Research and to Professor of Ecology and Evolutionary Biology Ingrid Parker, Thompson (Cowell '15, plant sciences) spent a year doing research into the question of why the Scotch broom was so toxic to Douglas fir. 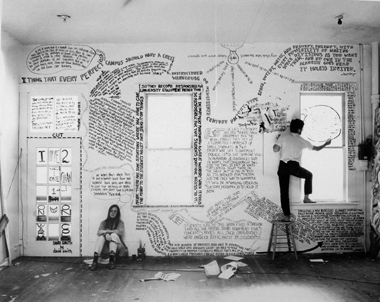 Thompson's work is emblematic of a UC Santa Cruz ethos grounded in the founding days of the university: the opportunity for undergraduates to take part in research. In fact, a 2014 study conducted by the uni-versity found 73 percent of graduating seniors had assisted in faculty research or creative projects during their time at UC Santa Cruz. 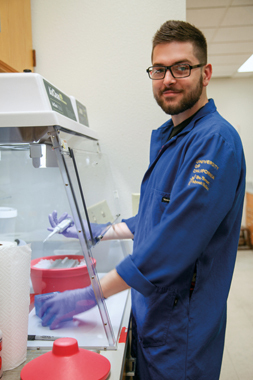 Sanjin Mehic's parents left everything behind when they fled war-torn Bosnia-Herzegovina for the quieter streets of San Jose, Calif.
"My parents worked hard to get going and never looked back," said Mehic (Porter '16, biochemistry and molecular biology). For Mehic, 24, that industriousness shaped his own life. Mehic is engaged in a research study that focuses on the role of bacteria in the production of an algal toxin called domoic acid in the Monterey Bay. Domoic acid not only kills marine organisms but also can cause neurological damage, sometimes fatal, in humans. Thanks to Assistant Professor of Ocean Sciences Marilou Sison-Mangus and a grant from the Dean's Fund for Undergraduate Research, Mehic is studying whether certain bacteria influence production of domoic acid during algal blooms. Bacteria found naturally on some bats may prove useful in controlling the deadly fungal disease known as white-nose syndrome, which has devastated bat populations throughout eastern North America and continues to spread across the continent. Scientists at UC Santa Cruz isolated bacteria that strongly inhibited the growth of the white-nose syndrome fungus in laboratory tests. Experiments are now in progress to see if treating bats with the bacteria can protect them from the disease, said Joseph Hoyt, a UC Santa Cruz graduate student who led the study. 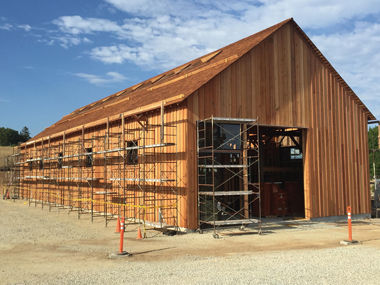 The Cowell Ranch Hay Barn at the base of the UC Santa Cruz campus is being "barn again." The structure is being rebuilt as a center for UC Santa Cruz's environmental and sustainability programs and will become the home of the Center for Agroecology & Sustainable Food Systems and a campus and community hub. The project, made possible by a $5 million gift from the Helen and Will Webster Foundation, supports the Coastal Sustainability initiative of the Campaign for UC Santa Cruz. When a weather-tight exterior is finished, the barn will contain a large multipurpose space for exhibitions, assemblies, barn dances, and more, along with a conference room, restrooms, and utility rooms. A future phase—still to be funded—will add other conference rooms, kitchenette, and exterior improvements. The rebuilding will be celebrated with an event on Sept. 12. The doors of the barn will be opened at 7 p.m. and the community welcomed to an evening of lively music and refreshments. UC Santa Cruz astrophysicist Jonathan Fortney is one of 15 principal investigators for a NASA initiative that is embracing a team approach to the quest for life on planets around other stars. The Nexus for Exoplanet System Science (NExSS) will benefit from the expertise of several dozen scientists across the NASA science community in an effort to find clues to life on faraway worlds. Fortney, an associate professor of astronomy and astrophysics at UC Santa Cruz, will lead a team exploring how novel statistical methods can be used to extract information from the light emitted and reflected by planetary atmospheres in order to understand their atmospheric temperatures and the abundance of molecules. Astronomers routinely analyze the light from distant stars by spreading it out into a spectrum of different wavelengths. Fortney is developing tools for analyzing the spectra of distant planets to determine molecular abundances in their atmospheres. Assistant Professor of History Elaine Sullivan received a Digital Start-Up Grant from the National Endowment for the Humanities (NEH) to develop a three-dimensional model and virtual tour that will demonstrate how an ancient Egyptian site evolved over more than 3,000 years. The $47,200 grant was one of 17 awards directed to development of new digital tools for study of the humanities that are part of a larger slate of 232 grants announced by the NEH. Sullivan is co-principal investigator of a Digital Humanities Research Cluster funded by the Institute for Humanities Research (IHR) at UC Santa Cruz. "I think of digital humanities as using new technologies to answer questions I can't answer now—opening up new realms of scholarship," said Sullivan. 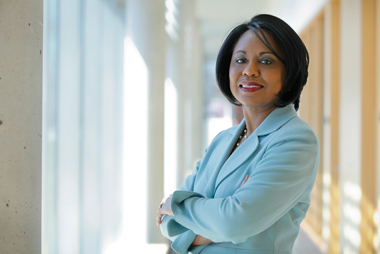 Anita Hill's life changed forever in 1991 when a television audience of 22 million saw her testify before the Senate Judiciary Committee during the confirmation hearing for Supreme Court nominee Judge Clarence Thomas. Her calm demeanor—as she was pressed to endlessly repeat the graphic descriptions of sexual harassment she endured while working for Thomas—struck a chord with the public and began a conversation about sexual harassment and power in the workplace that still resonates today. 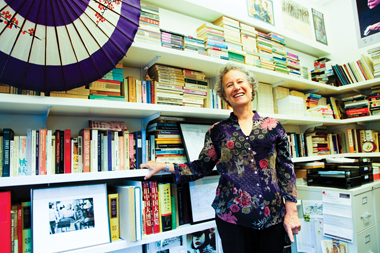 Now an author and professor of law, public policy, and women's studies at Brandeis University, Hill came to UC Santa Cruz in February to deliver a free public lecture on the topic: "Speaking Truth to Power: Gender and Racial Equality, 1991–2015." In a telephone interview from her office in Boston, Hill recalled the groundbreaking hearings that took place 23 years ago in Congress. "The experience itself was surreal beyond anything that I think anybody could have prepared for," said Hill. Last Day of Freedom—an animated short by UC Santa Cruz Associate Professor of Art Dee Hibbert-Jones and San Francisco artist Nomi Talisman—was honored with two awards at the 18th annual Full Frame Documentary Film Festival. It received the Jury Award for "Best Short," qualifying the film for a possible nomination for an Academy Award next year in the category of "Best Documentary (Short Subject)." In choosing Last Day of Freedom for the award, the festival judges noted: "This film demonstrates and reminds us of the simple power and intimacy of the human voice. It interweaves different visual styles of animation and engages the audience fully in an increasingly fraught tale that ultimately presents the supreme cost of doing the right thing." The short blends animation with poignant testimony to create a haunting story of a man who discovers his brother has committed a serious crime. Splinters in Our Ankles is UC Santa Cruz Theater Arts Professor Gerald Casel's choreographic response to what he calls "the collective cultural amnesia" about the Philippine national dance. Born in the Philippines and raised in California, Casel actually grew up with little knowledge of the popular dance. But recently, his research took him back to the Philippines to dig into the historical context of the national dance, which originated during the Spanish colonial occupation of the Philippines that began in the 16th century. "As a choreographer, I question the most famous and beloved traditional dance, Tinikling, and why it is represented in such a lively and festive way," said Casel. "I argue that during the time it was being created, Filipinos were under Spanish colonial rule—a violent past that is not discussed when this dance is presented. "I wanted to shed a light on this omission as 'cultural amnesia' to convey an alternative lens through which Filipino bodies can be represented and therefore not easily 'exoticized' and easily 'consumed' for entertainment." "American history is filled with stories of brave and powerful men, but have you ever wondered where the women are?" 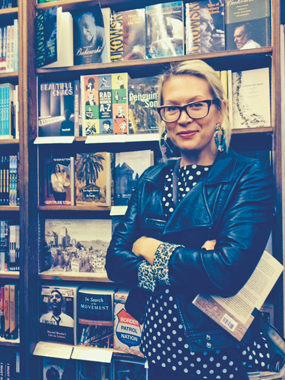 So begins Rad American Women A-Z: Rebels, Trailblazers, and Visionaries Who Shaped Our History…And Our Future, a book for kids by alumna Kate Schatz (Stevenson '01, women's studies and creative writing). It features the stories of 26 women who have had a major impact on American life—from artists and abolitionists, to scientists and sports heroes, to rock stars and writers. It also has the distinction of being the first children's book published by San Francisco's famed City Lights Publishers in the company's 60-year history. In May, the book debuted at No. 5 on the New York Times bestseller list. The UC Santa Cruz men's volleyball team spent its season honing sets and kills, doing conditioning, and watching game film. Team members also sold donuts and athletic gear, worked on their résumés, and picked up trash on the beach. The unusual regimen was born not just from the financially strapped squad's need to raise money in order to compete, but also from Head Coach Todd Hollenbeck's decision to approach this team in a new way: by building solid human beings first, both on the court and in life. "It's not about wins and losses," said Hollenbeck. "It's how can we score points when we're not even touching the ball. We do that in the classroom, in applying for a job, and by volunteering." The team ended the season with a 24-6 record and earned a visit to the NCAA Division III national championships in Hoboken, N.J. Alumnus Sage Weil (Ph.D. '07, computer science), who developed his thesis project into the highly successful open-source software data storage system Ceph, has given UC Santa Cruz $2.5 million to support research in open-source software. Weil's gift supports a faculty chair in open-source software and research led by Professor of Computer Science Carlos Maltzahn, who directs the Center for Research in Open Source Software at UC Santa Cruz. "Sage was a brilliant student and a serial entrepreneur even before he came here," said Scott Brandt, professor of computer science and now vice chancellor for research at UC Santa Cruz. "It's great to see one of our students succeed in such a visible way, and then for him to give back to us in this way is just extraordinary." The gift supports the Data Science Leadership initiative at UC Santa Cruz. UC Santa Cruz alumni from across the country contributed their works to 50/50—an art exhibition celebrating the 50th anniversary of the campus that ran in February. The show took place at both the R. Blitzer Gallery on the Westside of Santa Cruz, and on campus at the Porter College Faculty Gallery. Featuring 10 artists from each decade of UC Santa Cruz's 50-year history, the exhibition spotlighted local and visiting alumni artists from Santa Cruz to New York City. Visit 50years.ucsc.edu for additional events celebrating the 50th anniversary of UC Santa Cruz.